Many of us are wary about using store bought gels on our hair while styling since we do not really want to subject our hair to all those chemicals. However, if you still want to use a hair gel, then the best way is to use a natural alternative to the chemical-laden hair gels. With the DIY revolution taking over our lives, why not make your own hair styling gel that is all natural and homemade? Here is our recipe for a completely natural homemade flaxseed hair gel that you can use to style your hair. 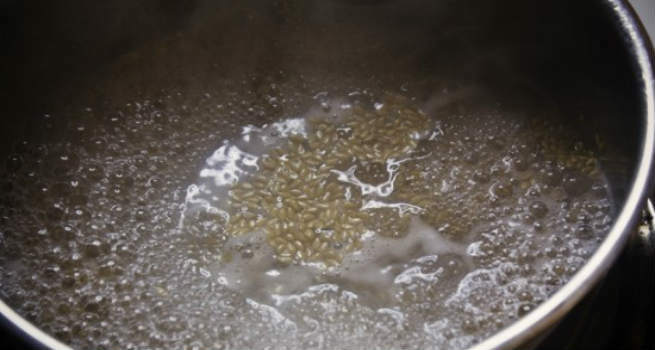 When flaxseed meal is mixed in water or when the seeds are boiled in water, the end result is a gelatinous substance that resembles egg whites. This gel is what forms the base of the hair gel. To this base, you can add enriching ingredients like aloe vera gel, essential oils and other nourishing oils like argan oil or jojoba oil. Here are the steps in details. In a deep bottomed pan, bring the water to a boil. Add the flax seeds and keep stirring the mixture until it comes to a rolling boil. Now reduce the flame and let it simmer until the seeds start floating on the top and the liquid obtains a gel-like consistency. Now, turn off the heat and run the mixture through a strainer. The gel that you collect forms the base of your hair gel. With a whisk, whisk the gel well to remove any lumps. Add to it the essential oils and argan or jojoba oil (if using) and mix well. Let it cool. Once it cools, whisk in the aloe vera gel. Transfer to an airtight container. If you keep it in the fridge, the mixture will remain good for a fortnight. Since it is all natural, it is best to make it in small quantities so that you can use it up when it is fresh. It is a completely natural alternative to styling gels. The flaxseed gel moisturizes the hair and helps hold the style in place. It does not leave your hair rigid and clumpy since it does not have any harmful chemicals. Once you have washed your hair, take some gel on your fingertips and run it through the length of the hair. If you are looking to get wavy hair, scrunch your hair. Fluff up your hair with your hands. It is best not to use the hair dryer in full blast. If you feel any lumps or stickiness, run a comb through your hair once before styling it. That’s it. You are now free to style your hair as you please. 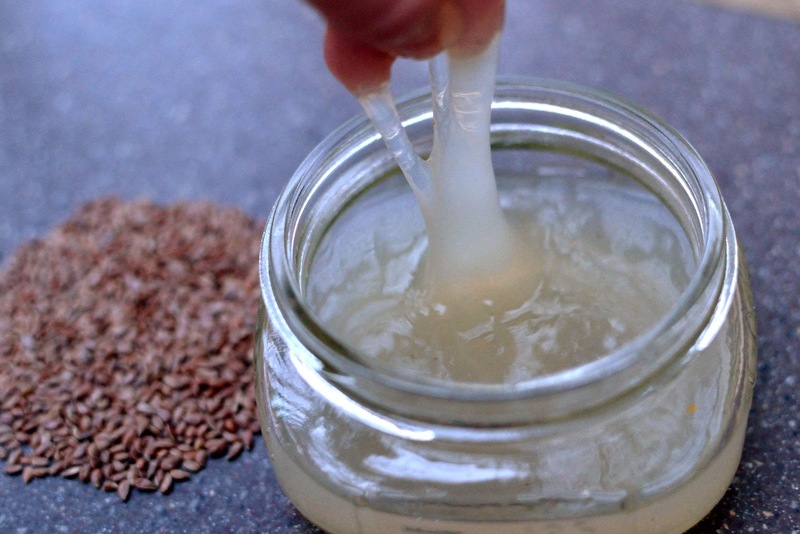 The homemade flaxseed hair gel will not just hold your hair in place but will also nourish it with every use and keep it glossy and beautiful.